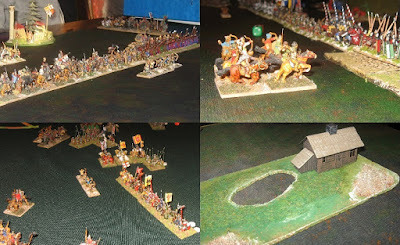 We chose to go with Maurikian Byzantines and a horse archer ally (and the best in period option was Khazar) ... we were beginners and it seemed to suit us very well. 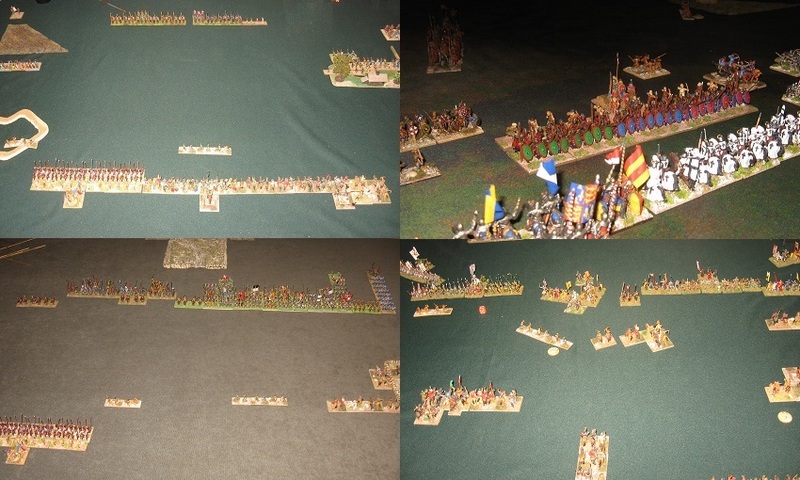 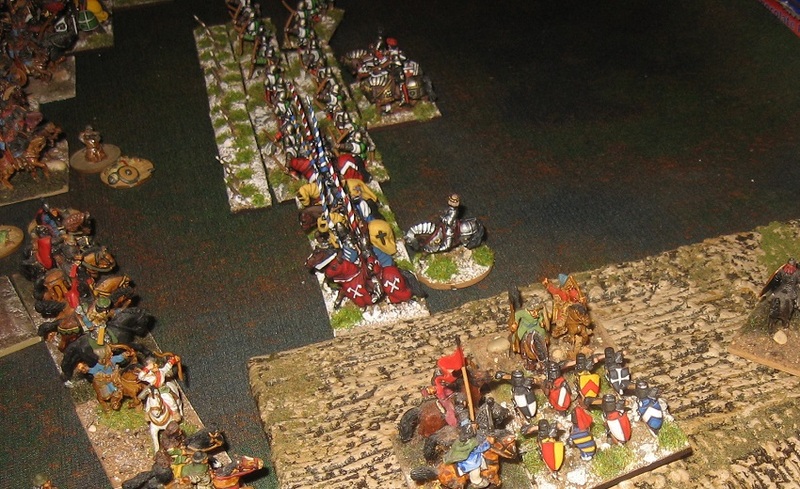 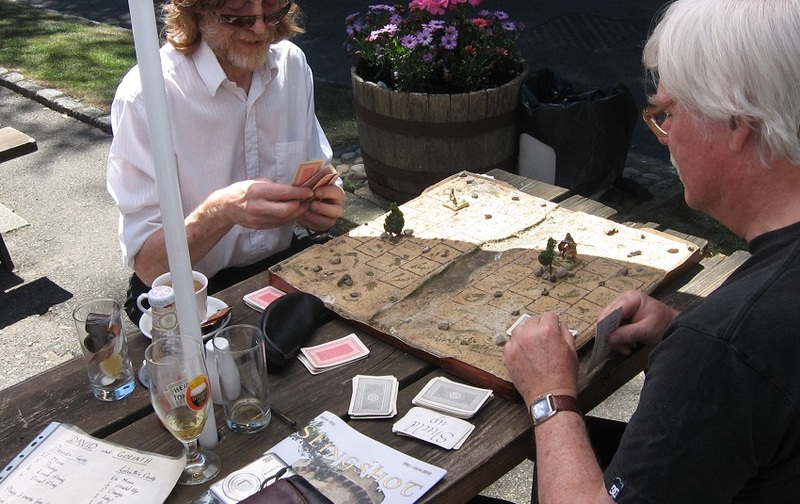 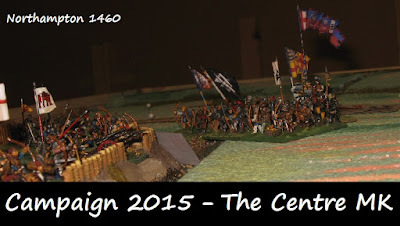 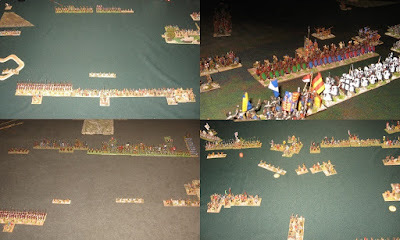 The format was 400 points configured as two 200 point allied armies with the two players commanding the 3 adjacent command on their side of the table. 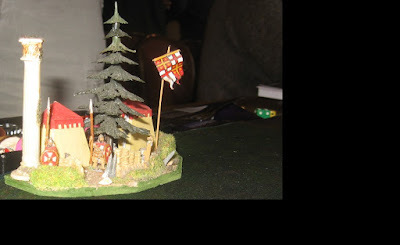 OK. We won three out of our four games (though 'on points' rather than by destroying the enemy outright) and lost the fourth by a small margin. We ended up mid-table. 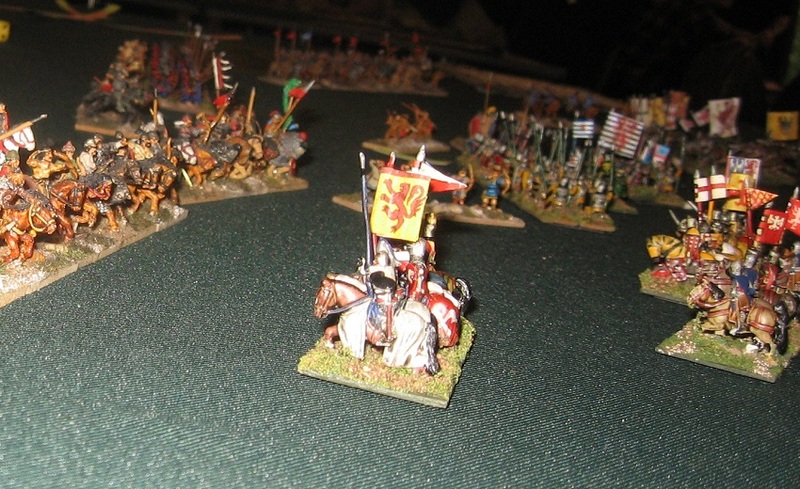 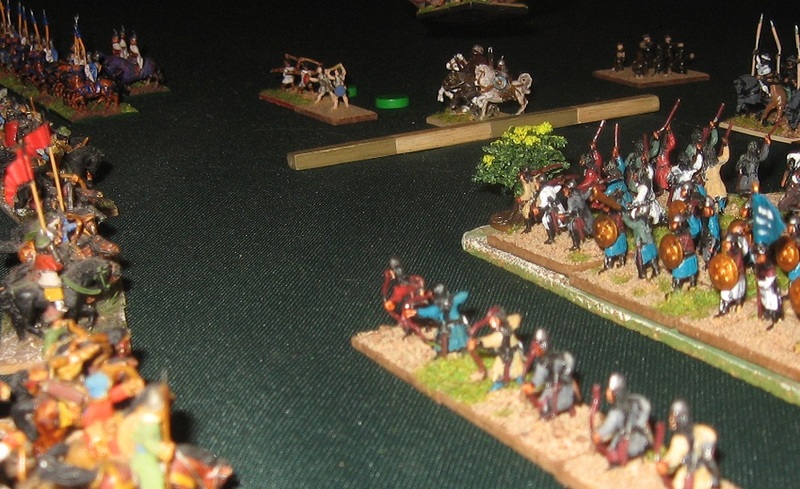 In truth we a tad overmatched in terms of power and protection, most of the entrants in a fairly open field were medieval knight/longbow/chopper types so we had to whittle and dodge to get any favours out of the exchange and that makes for a 'long game' strategy. 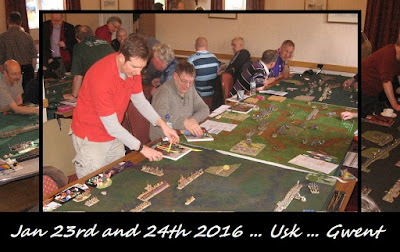 Like FoG the movement is in units (in this case UDs), like DBA3, the UD is a 40mm (i.e. 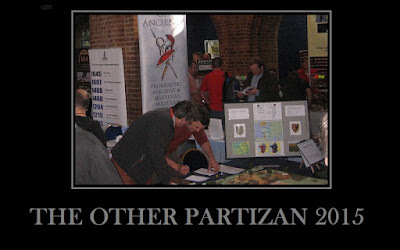 a BW) .. 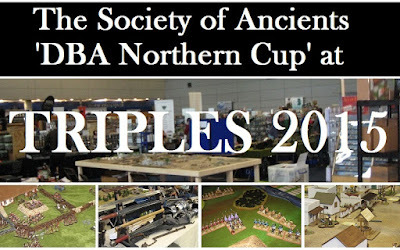 The rules are poorly written (probably in the main poorly translated although some of the queries and anomalies are not just down to playing the English version) and that is disappointing given this is the third edition. 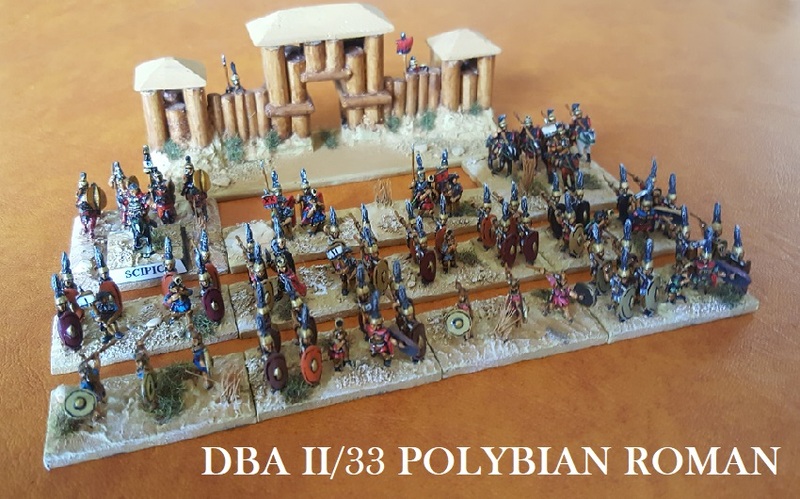 I suspect I will play some more of this but it is difficult to see it as anything other than an extra option compared to say Basic Impetus or DBA V3. 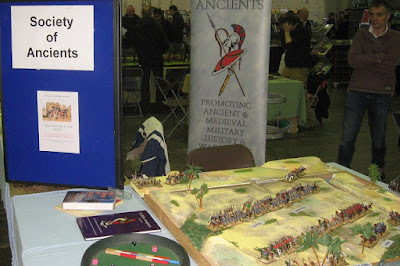 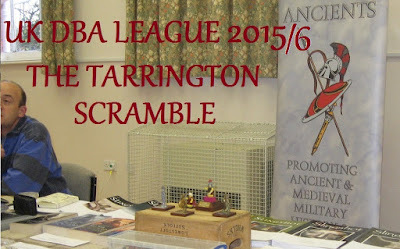 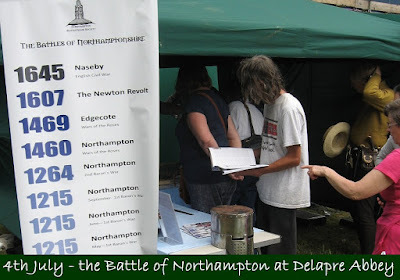 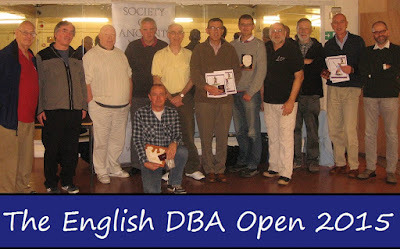 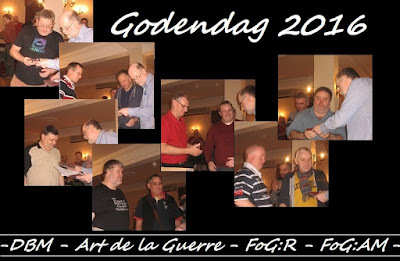 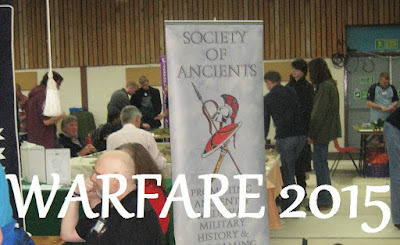 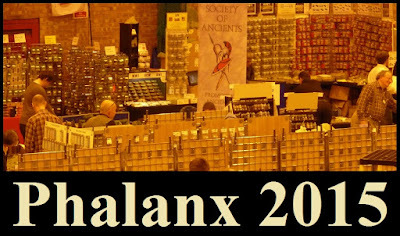 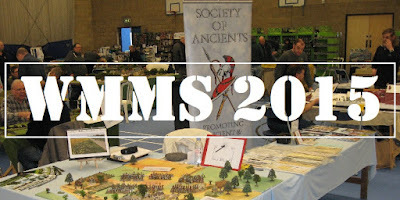 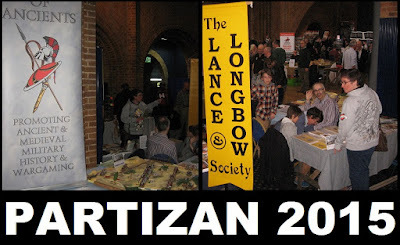 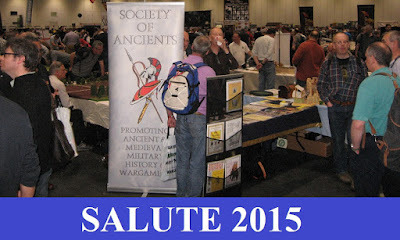 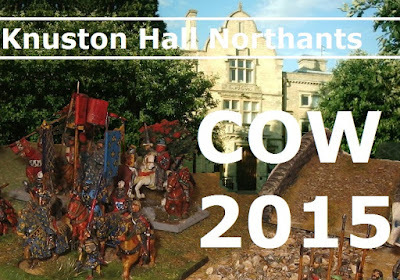 At the shows for which I did the games and presentations I did the Battle of Yarmuk four times, Bouvines and Northampton three times each, David and Goliath twice ... and we did my recent Society game Greyhounds in the Slips once (Salute) and a Tony Bath's Hyboria retake at Warfare. 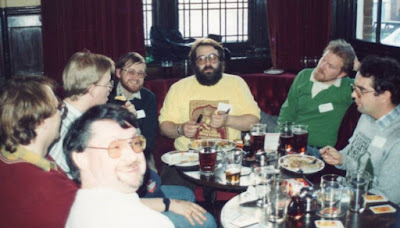 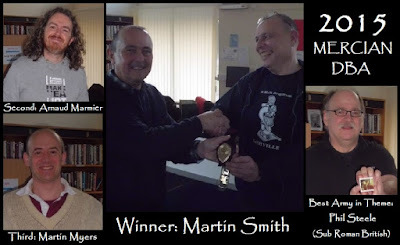 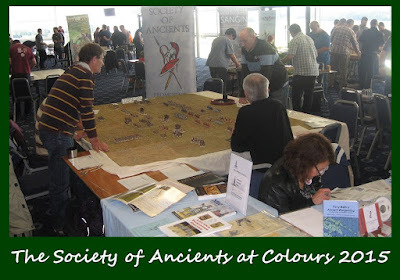 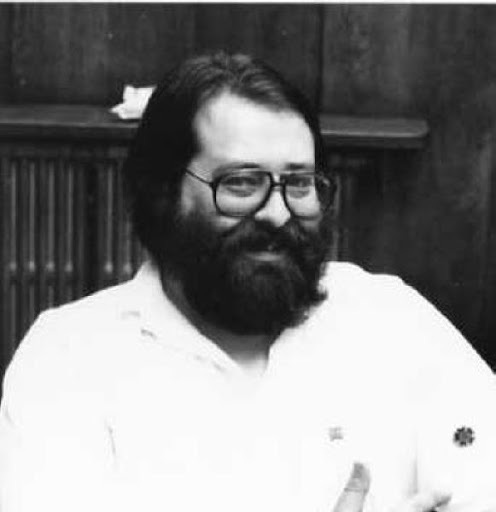 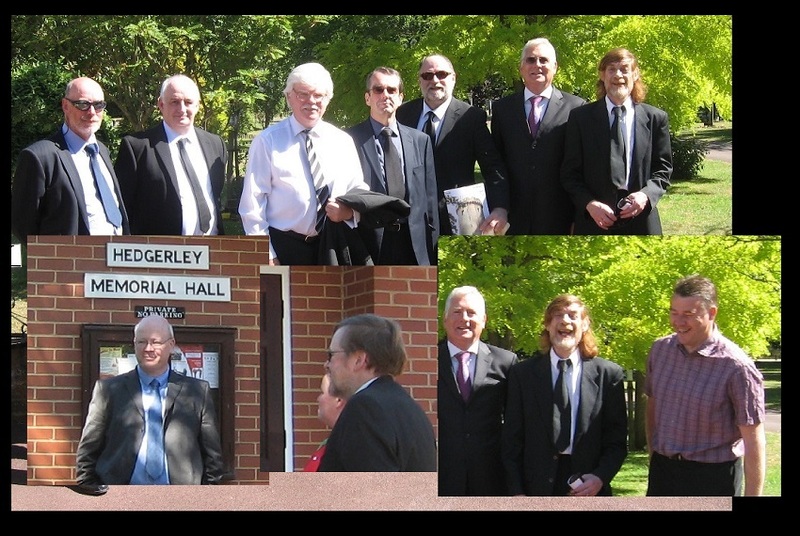 The sad event in the middle of the year was the passing of my great friend and collaborator Andy Gittins ... founder of the Slough Barbarians, Society President and designer of the seminal Society game Gladiolus amongst many other award winning participation games and Conference projects. 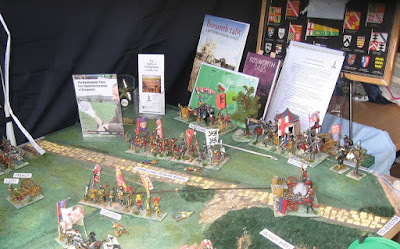 Such a loss - we gave the original shows copy of David and Goliath some commemorative outings. 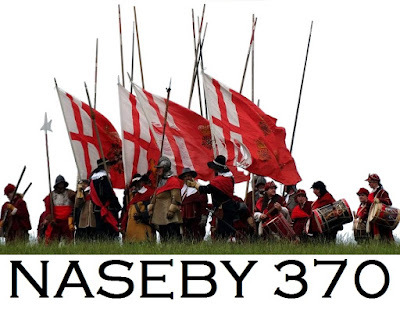 In addition to helping organise the 370th at Naseby, it is a year in which we have secured genuine moves towards a permanent exhibition at Northampton and start-up Lottery Funding for the Naseby Project.